About six months after my glowing review of the original XCOM reboot I wrote a followup piece that comprehensively laid into the game for flaws that had become apparent on subsequent playthroughs. The aliens’ completely passive presence on the geoscape. The introduction of new, tougher enemy types being linked to your completing plot missions that had no time factor involved, allowing you to game the system by researching endgame weapons and armour before tackling any of them. An inverse difficulty curve where the first three months of the game were by far the hardest as you desperately tried to keep your rookies alive with only basic weapons and equipment. A whole host of paper tiger systems (such as panic), where the various NPCs screamed at you to play the game in a certain way in an attempt to mask the fact that playing slowly and cautiously — and liberally vomiting explosives anywhere in direct contravention of Vahlen’s instructions — would result in flawless completion of 95% of missions. The Enemy Within expansion pack alleviated some of these flaws, but it couldn’t fix the worst of them as they were baked into the very structure of the game itself. Any trulycomprehensive cure would require a complete restructure of XCOM’s systems that only a sequel could provide. 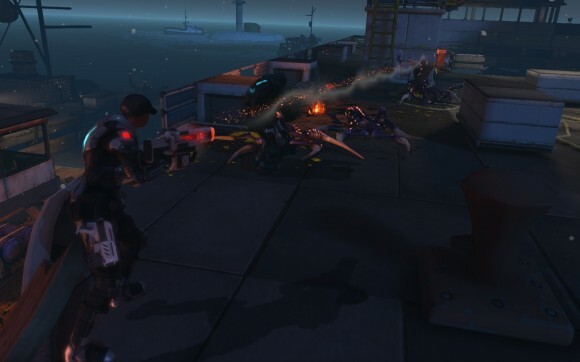 Enemy Within is the first expansion to the XCOM remake, a game which was pretty well received on here over a year ago but which in the long run turned out to suffer from some fairly deep-seated structural issues – the aliens’ completely supine geoscape presence and an inverse difficulty curve being amongst the most prominent. A good thing, then, that it was made by Firaxis, since if there’s one thing Firaxis excel at it’s fixing critical flaws with comprehensive and well-designed expansion packs. After the success of Gods and Kings and the well-designed additions Brave New World made to Civ V (even if I didn’t particularly agree with them all that much) I had high hopes that Enemy Within would do the same for XCOM. At the end of the first season of Stargate SG-1 there’s an episode where Daniel Jackson inadvertently travels to an alternate reality where the Goa’uld (the alien badguys) are in the middle of a full-blown invasion of Earth. The planet’s military forces are quickly crushed, and the alternate reality versions of the main cast are killed off one by one as they desperately try to buy time for Daniel to make his way back to his own universe to warn people that an invasion is coming; by the time he does, Earth has fallen and the aliens have won. 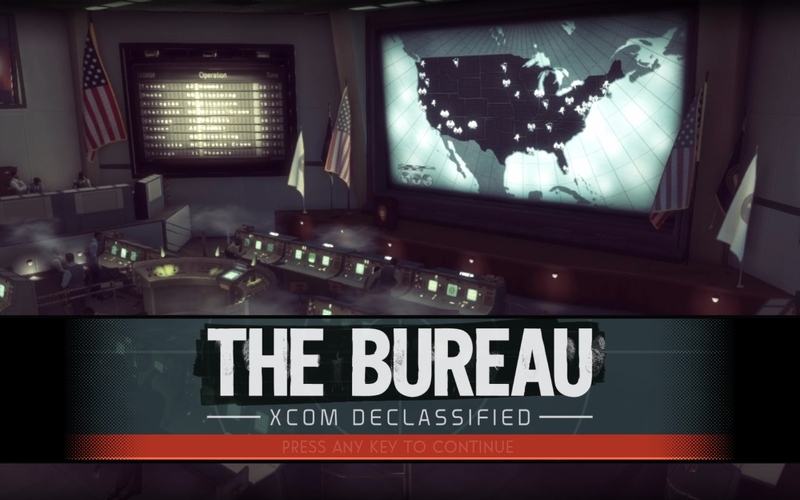 This episode is called “There But For The Grace Of God”, and I absolutely cannot think of a better way of summing up The Bureau: There But For The Grace Of Firaxis Goes XCOM. I was poking around in the archives yesterday and noticed that there was a comment from earlier this year regarding XCOM and its lack of replayability. I agree that the game has a serious replayability problem, and I’m a little surprised I haven’t heard much about this. Would you care to elaborate? Also, since Firaxis have been hinting at it, what would you like to see in an expansion? In Praise Of: Terror From The Deep. 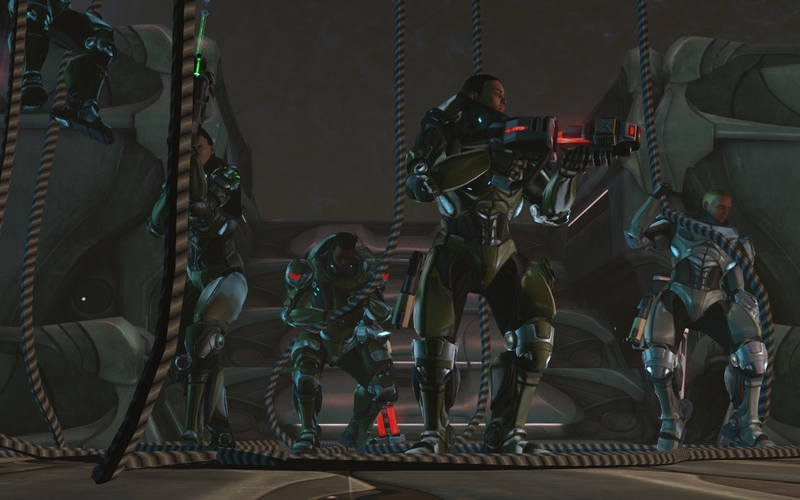 For a series that purportedly spans twenty years, the XCOM games actually have a relatively short and chequered history. Before Firaxis came along to do their very respectable reboot of the franchise the last game to carry the XCOM name – the execrable Enforcer – had been released in 2001. 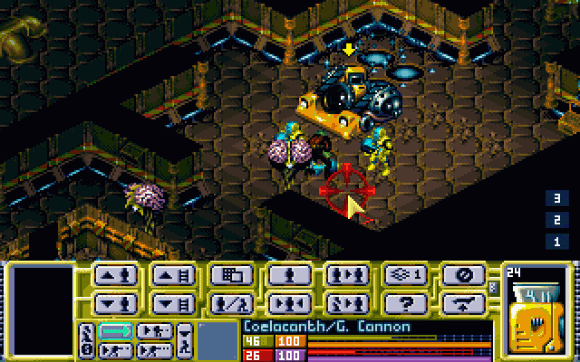 Before Enforcer was the similarly-terrible Interceptor, but neither of these were really XCOM games as they’re popularly understood; Enforcer was a third person shooter while Interceptor plumped for a bizarre and awful space combat environment. You have to go all the way back to 1997 to find an XCOM game with tiny men running around on a tactical battlescape map, and so the “true” XCOM games consist of the original trilogy: UFO, Terror From The Deep, and Apocalypse. Everyone knows about UFO, since that’s the game that got the high-profile remake last year. Apocalypse was… interesting, and probably a post for another day. What I’m here to talk about today, though, is Terror From The Deep, a game with a reputation it doesn’t really deserve since it was far, far better than it had any right to be, especially when you consider its origins. “Hentzau, how are we supposed to play XCOM and not fail horribly?” is a question that precisely nobody has asked me during the last week, but I thought I’d tell you anyway. I’m currently crawling through a Classic Ironman game using exactly these tactics and I’ve reached the point where only a string of mission failures is going to lose me the game, so they do work. Some spoilers if you haven’t finished the game yet, obviously. This is it. This is the game I have been waiting for ever since it was announced at the start of the year, and for a good decade before that. 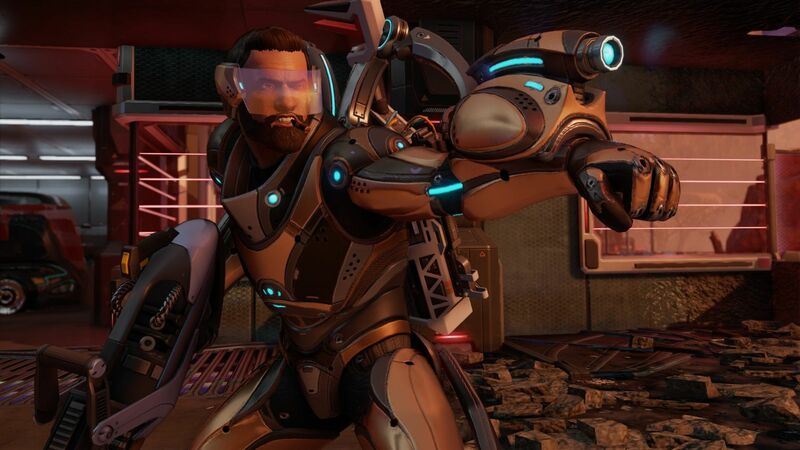 Watching literally every single attempt to “update” XCOM for the modern generation over the last ten years has been a painful experience, and I was more than a little aghast when it seemed like the official update would be a first-person shooter with lots of conveniently-placed waist-high cover. 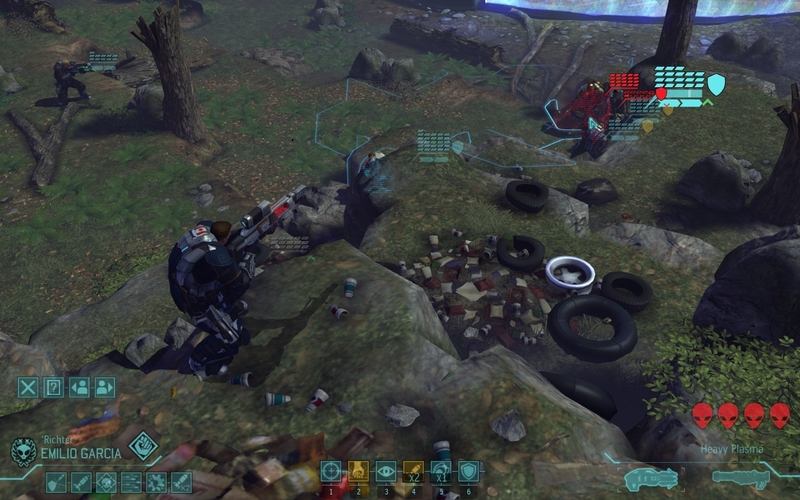 Then Firaxis said they were making a proper tactical squad-based TBS, and everyone rejoiced. Then Firaxis mentioned the things they were going to change – no time units, only one base, unlimited reloads on the guns, to mention just a few of them – and everyone said “Er.” Or at least I did. 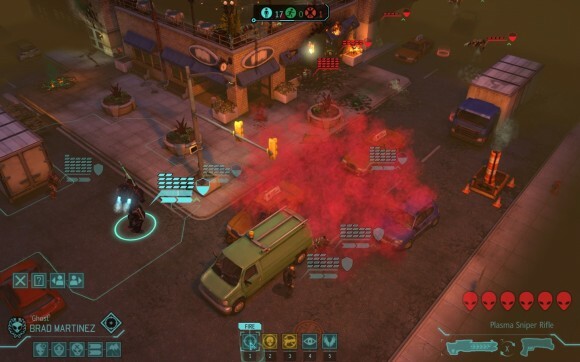 The lead designer on XCOM, Jake Solomon, did an excellent job of explaining the reasoning behind Firaxis’s tinkering and at least left open the possibility that it might not be a total disaster, so while I wasn’t all that hopeful for the game I decided to reserve judgement until I actually played it.